We've seen all kinds of cool LEGO custom sets over the years, ranging from The Addams Family mansion to the Golden Girls' Florida home. But this latest fan creation might just take the cake, as a fan going by the handle Brick Project has created a mini Disneyland using only LEGO bricks. Although not every famous attraction from the Happiest Place on Earth gets represented, most of Disney's most iconic elements are here, like Main Street USA, Sleeping Beauty Castle and Space Mountain. And if it gets enough votes, the LEGO company may just make it available for fans to buy. According to the creator, they "tried to represent the different rides with a huge scale so I was able to put a lot of details in the creation. So I created The most iconic element, the Disney castle and several other rides like Tower of Terror (Disney Studios), Space Mountain (Disneyland), Mickey Wheel (Disney California Adventure), and Big Thunder Mountain (with rail tracks) from Disneyland. 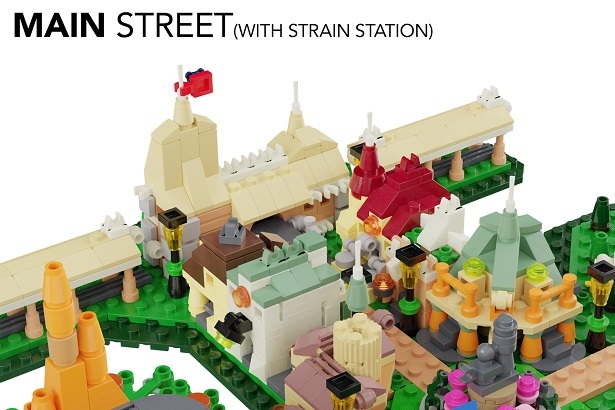 I also added the shop street (Main Street) and the train station which represents the portal of the park. There is no interior in the builds (except Big Thunder Mountain) but I will try to add some as soon as possible." Some Disney micro figures will probably be added as well. Approximately 2200 bricks were used to create this model. 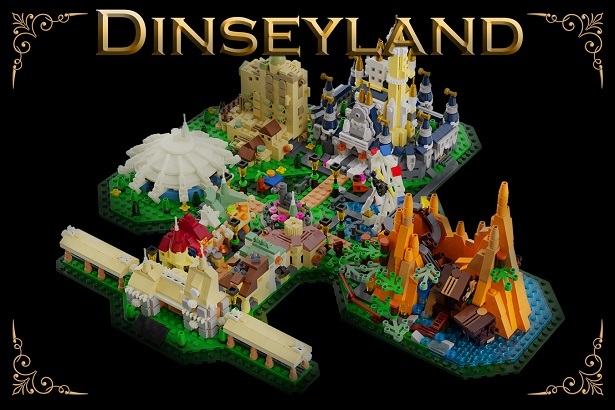 Brick Project acknowledges that this is also a fantasy version of Disneyland ("Dinseyland," even), with elements from other Disney parks combined to make one ultimate version of the theme park. Thus, you have Tower of Terror next to Sleeping Beauty Castle and other changes from the actual Disneyland layout. Each attraction is connected with a grey road, which you check out on the virtual tour. And to see detailed photos of the Disneyland project, be sure to check out the images down below in our gallery. Do you want to see the Brick Project's Disneyland LEGO set get manufactured? If so, let us know down below in the comments, and then be sure to head on over to the LEGO Ideas page and vote for it, because if it gets 10,000 supporters, it may become an official set. Ant-Man and the Wasp gets a LEGO set. LEGO's working roller coaster rules. Can the Death Star trench run win LEGO Ideas?